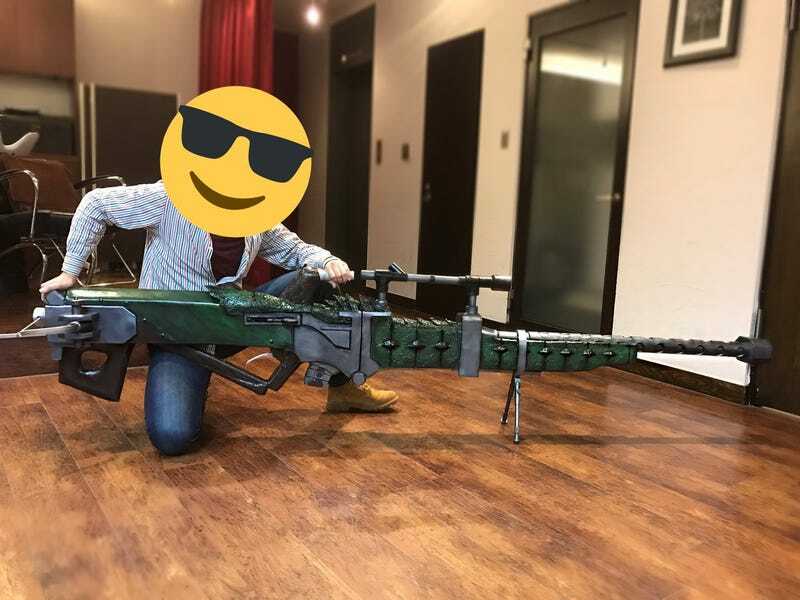 This is a full-scale build of the Monster Hunter Aquamatic “Longshot” sniper rifle. Twitter user Killer 927 posted photos of this recreation, which was made with foam board, PVC pipe, and wood. Here is the trigger mechanism. The finishing touches and paint job sell the thing.